[S198] Heritage Scarborough and the Scarborough Archives, Scarborough Historical Society, (Name: P. O. Box 593, Station A, Scarborough, ONTARIO M1K 5C4;). [S207] Ian Glendinning [glendinningfamily@tiscali. co. uk]. 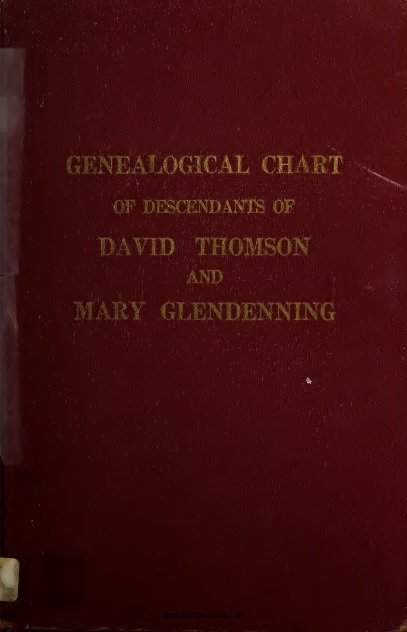 [S427] Thomson Family Bible, David and Mary Thomson. 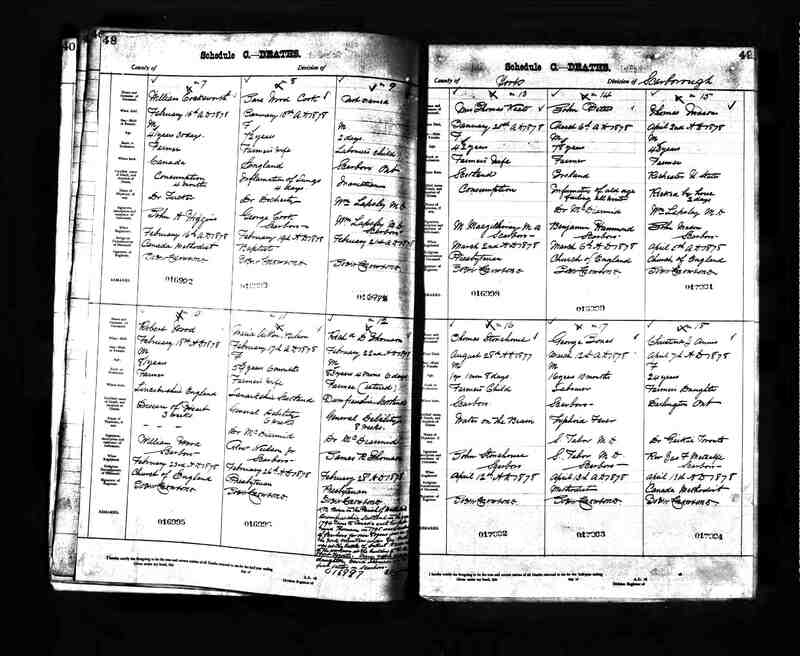 [S1] Ontario: Birth, Death and Marriage Records, RG5 B9 Vol 14 page 2 C6777 509.